The 2018 FIFA World Cup is approaching a dramatic end as 60 matches have been played and only 4 sides are left standing - France, Belgium, England and Croatia. 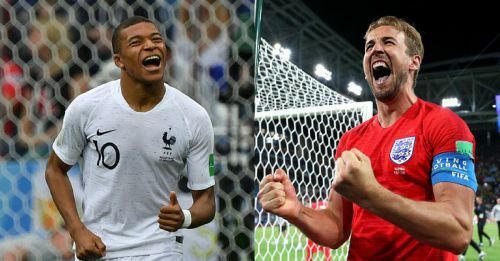 As the semi-finals begin tonight, France and Belgium take on one another in the first semi-final while England and Croatia face off in the second one. Many players have been exceptional in the tournament while many others have only disappointed. This World Cup has been an extremely surprising one with many shock results arising. The early exit of big teams like Argentina, Germany, Spain and Brazil surprised the world. On the other hand, teams like Croatia and England have surpassed expectations. Several players have been impressive so far, but only 92 players are remaining in the competition. The semi-finals are going to be very interesting and intense and every player will be expected to put in his 100%. Keeping that in mind, here is a look at 5 of the best players you should keep an eye on in the semi-finals. 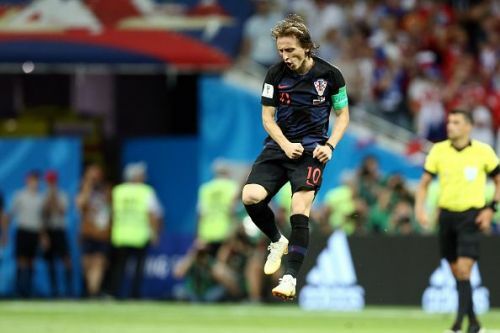 Real Madrid midfielder and Croatia's captain, Luka Modric is easily Croatia's best player. He has played 485 minutes in the competition, which is the most for any player on the team. Modric has led from the front in most games and has been a superb performer. He has scored 2 goals and 1 assisted one so far due to which he is Croatia's leading goalscorer. Modric will be very crucial to Croatia's chances when they take on England in the second semi-final. His passing and reading of the game could very well decide the game in Croatia's favour. On the other hand, if Modric has a bad game, Croatia might suffer and find themselves on a plane back home. World Cup 2018: Same Old England or Foundations laid for the future?